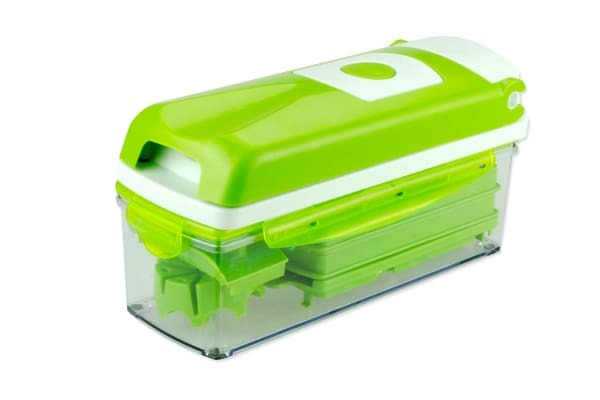 Slicing and chopping made quick and easy with this Multi-Purpose 12 Piece Slicer! Slice, chop, dice and much more! Chop, slice and dice quickly and evenly with the amazing Multi-Purpose 12 Piece Slicer. With its interchangeable super sharp blades, this slicer not only gives you precise cuts, it also cuts down your preparation time by a large chunk. 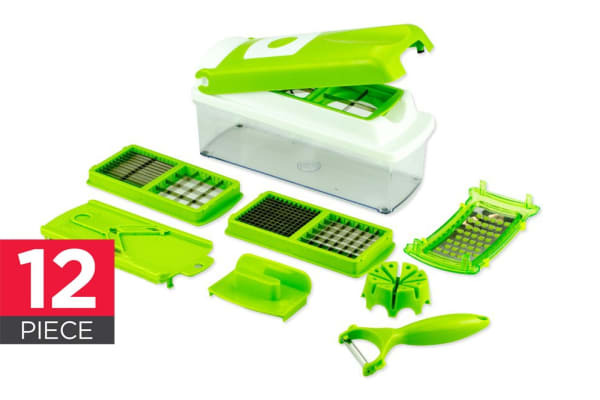 All you need to do is to place the vegetable in the slicer and press down to get evenly chopped or diced pieces in a jiffy and without any mess! 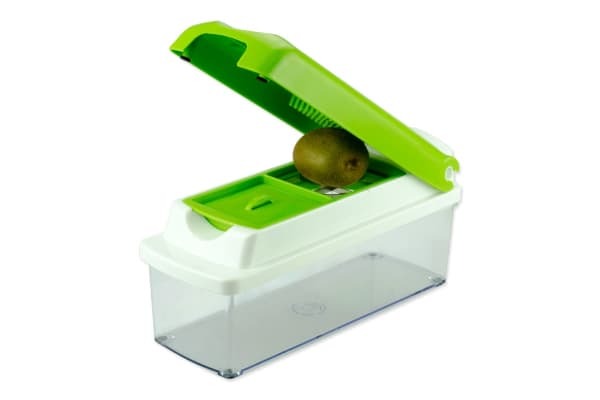 Whether you need your veggies and fruits cut into cubes, sticks, wedges or slices, this slicer has a setting that can give you exactly the kind of pieces that you need, in the size that you need, for your recipe. As this slicer gives you pieces that are consistent in size and shape, your food gets cooked perfectly and tastes great! You will not find small charred pieces or large uncooked pieces in our dish after you’ve finished cooking. What’s more, evenly chopped pieces look picture perfect on your plate increasing the overall pleasure of eating! You’ll definitely get those brownie points for presentation at your next barbecue party, thanks to this fabulous slicer! No more cyring over onions! Forget about the pungent fumes from onions making you cry. This 12 Piece Slicer not only keeps your food covered while it chops, it completes the chopping in a matter of seconds, so you can smile while you chop those onions that made you cry a river earlier! Easy to use the price reasonable. Nice to have all tools together, possibly won't use all of them to the same extent.